Liquor Log - Moar Stuff - You don't need it but you know you want it. 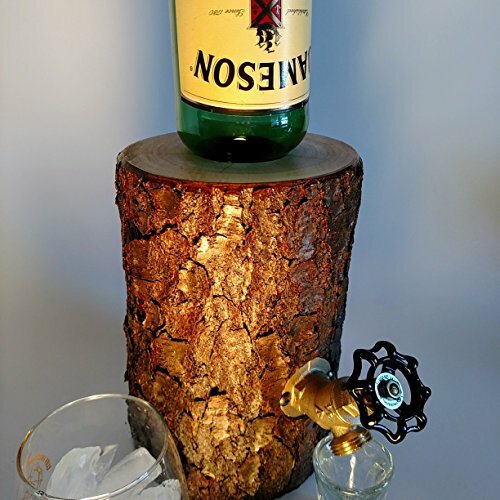 With this unique Liquor Log drink dispenser, you can display and serve your favorite wine or liquor in style! 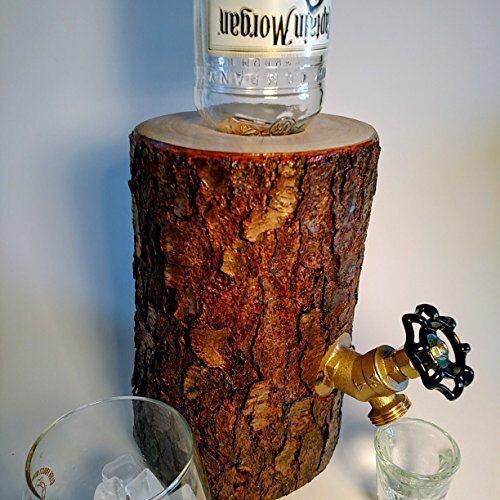 These handmade drink dispensers use urban harvested hardwood trees (from Ohio) to create a unique and stylish drink dispenser. Along with being stylish, they’re practical as you won’t have to go through the hassle of opening the bottle, pouring, and closing. 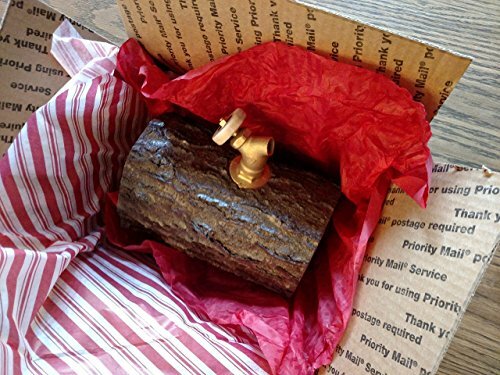 It’s just an easy twist of the brass knob to pour exactly how much you want. It really helps with not over pouring. 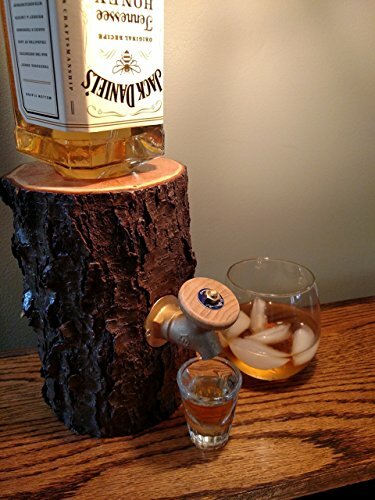 Because, we all know, over pouring is a waste of good liquor. Each Liquor Log is about 8″ tall with a diameter of about 4″ to 7″. They weigh about 6 lbs. As they are a natural, hand-crafted product, no two are alike. 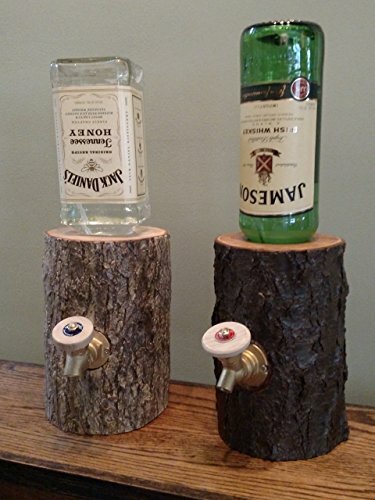 They work with both wine and liquor bottles so you can serve either. Your wine or liquor won’t leak or seep into the wood because it is always contained in beverage safe tubing from the bottle to the brass spout. So, if you enjoy your wine or liquor and you like unique style, you need a to get one of these right away. 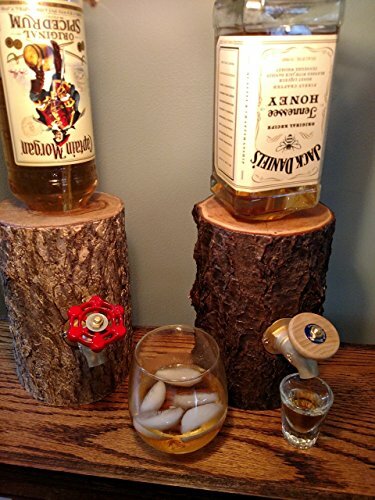 Makes the perfect addition to your man cave. Dimensions: About 8″ tall & with a 4″ to 7″ diameter.